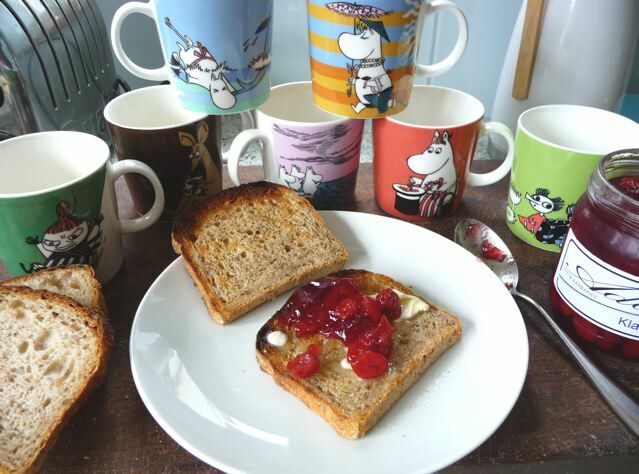 The Moomins live on in my kitchen, in a collection of mugs that Tutak and I share a love for, and I like to think that maybe they would have enjoyed this bread, toasted over a fire in the woods, made with Finnish piimä yoghurt and soft, well cooked chopped rye and served with a generous dollop of my Aunt Barbara’s Swedish clearberry jam! The other part of this post is about how I came to bake this bread. 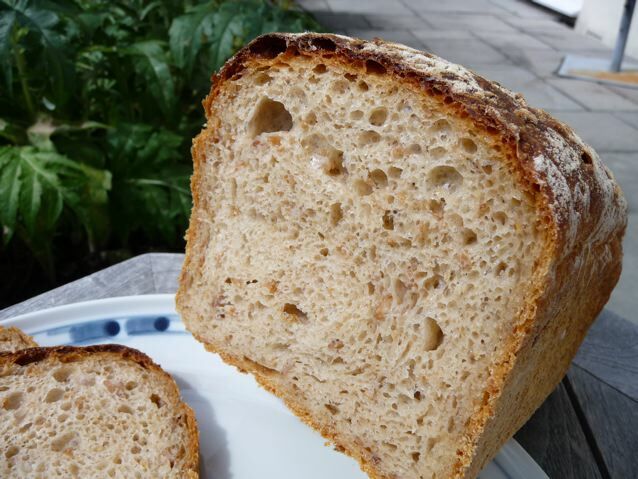 I spend far too much time on Dan Lepard’s forum and last month an innovative poster called Karumbalimba took the trouble to write up a recipe for a bread he had made using piimä yoghurt and cooked rye grains. It sounded absolutely delicious and as I had been making breads with the whey left over from yoghurt, it sounded like something I should try too! I sourced some Piima yoghurt culture starter from the kefirshop and cultured some of this lovely yoghurt. I believe that Finns drink it as a lunchtime beverage. I tried some in a glass and it was pretty good, though I am not a great gulper of dairy products generally. Cook 100 grams chopped rye by covering with water, bringing to boil and simmering till soft. Top up with water as needed. Mix with 200 grams of piimä yoghurt and leave in fridge overnight. This made an extremely soft and sticky dough which had a bulk prove of about 3 hours, with folds every hour, using light olive oil to handle the dough. If anyone wants a go at this be prepared to adjust the flour/liquid ratio to suit your comfort zone or go back to Karumbalimba’s original formula as my version was a bit trial and error. As I was remaking the 80% rye with rye flour soaker the same day I made all the bread in tins that day. I divided the piima dough into two lots and put it in buttered and floured 2lb tins. It took a good couple of hours more to rise in the tins. The oven was preheated to 240 C. All the tins went in at the same time. I put boiling water in a little tray on the shelf below to create steam. After 15 minutes I turned the oven back to 200 C and then carried on baking the bread for another hour. Long bake, but we tested the breads after the first hour and they didn’t tap hollow and were very soft still, so they had another 15 minutes on top of that. I loved this bread and so did Brian. 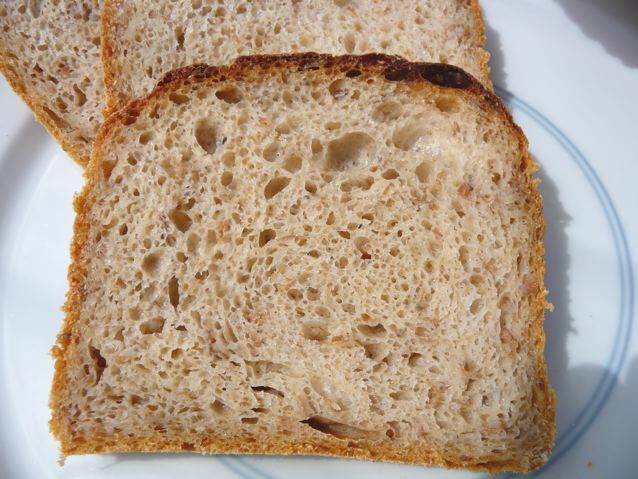 It toasts well and reminds me a little of a granary loaf without the traditional english malted bits and it is a great way to experiment with adding whole grains and calcium to your daily bread. I will definitely make this again and take sandwiches with me when I next go hunting for the Hobgoblin’s hat! This entry was posted in Books, Bread, Preserves and Cordials, Yoghurt and tagged Bread, chopped rye soaked in yoghurt, Finn Family Moomintroll, Finnish yoghurt, Moomin bread, Oliver Weiss, piima, The summer book, Tove Jansson, yoghurt on 05/08/2010 by Joanna. Tutak, are there no M mugs in Normandy, now there is a dishwasher, surely a few mugs could find their way there? Joanna you made me smile here. 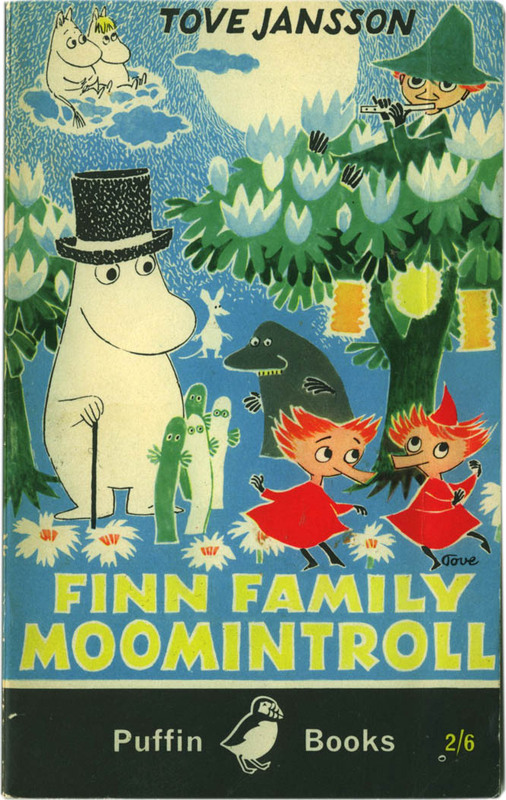 I haven’t heard of the Moomins, but I think I like them :-) Love the cover of the book. Joanna, one of the wonderful elements of your blog is that I never know where I’ll be taken when I open it! Will it be about a bird I’ve never seen before, a loaf I’ve never baked, your lovely garden (oh! those vegetables), a new cake or dish you’ve been trying ….. and now the Moomins and Tove Janssen’s books ! In short, it’s a bit of an adventure every time and I thank you for the pleasure it gives. I had a look at the reviews of the book on Amazon and it is a book I would like to read. As you’re writing about books, if I may (I hope you don’t mind?) , there’s a little gem of a book I read two years ago. It’s in a completely different vein from Tove’s but I think it’s a gem nevertheless. It’s the story of a writer who starts to correspond with people on the island of Guernsey during the German occupation of the island. This eventually leads her there to disover the characters that have remained on the island. It’s a warm, witty, charming and extremely well written book – the whole story is told via a series of letters and it’s a joy to read. Maybe you’ve already read it? It’s called ‘The Guernsey Literary and Potato Peel Society’. It was the first (and sadly the last) book of a lady called Mary Anne Shaffer who died before completing it. It was finished by her niece and the ‘join’ is seamless. Well worth reading IMHO. On the baking scene, I’ve been busy in my quiet corner snatching hours to try different recipes now that I’ve got the strong and very strong flours from the UK (so far bialys, light rye, and Dan’s baps which are being baked again and again they are so very good). I have progressed some (well, I’m not sure progress is the right word) to free-form baking – free-form because I haven’t got an oval banneton or brotform and I’m now baking on a stone. A little adventure in itself and great fun. Will update with photos on MB when possible. What a lovely comment! Thank you Blue! I love books written as letters, epistolatory? is that the term. I am very fond of The Woman In White by Wilkie Collins. In fact I am a complete sucker for them, so I will look for the Guernsey book right away. It’s always great to have books recommended. I hope you like The Summer Story if you get hold of a copy. You are so right about the North West Sourdough shaping video. I did find it …. after I had shaped the light rye, of course :). But the reason for this second post is that I forgot to include the pizza dough (Abby’s pizza dough) in my ‘I’ve baked these’ list. I can honestly say it was at least as good as anything I’ve had in the Italian pizzeria in my village so, thank you once again. Hi- I’ve never heard of the Moomins but that will soon be in the past- as I intend to search them out! Guernsey is a great book- I loved every moment of it and was sad to say goodbye to the society at the end. As usual, after seeing your bread I am called into the kitchen by the bread siren to make yet another loaf. Gotta go and make some bread! Two recommedations for the Guernsey book! That’s it I’ll order a copy right away :) The Moomins are part of European children’s book world – glad to share them with you! I hope you like them Heidiannie. Love the look of the loaf Joanna, and love the story behind it too. I have to admit to being ignorant of the Moomins too, perhaps I should educate myself! 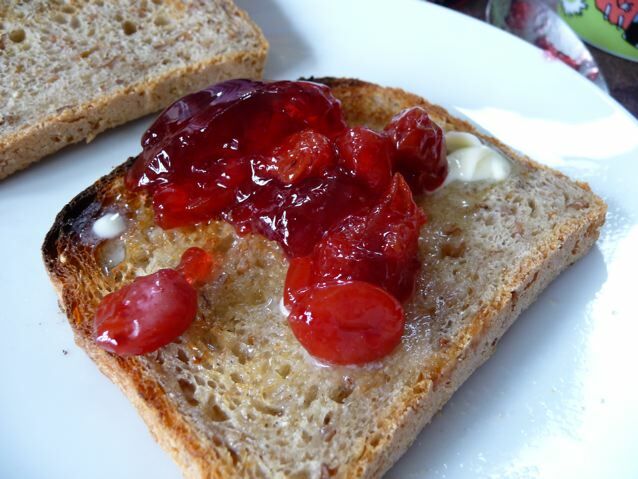 C, it’s just a bit of fun to go with the bread and jam! Hello, I too love your blog and like Blue enjoy my virtual travels. You must read the Guernsey book – it is so delightful, I felt quite lonely when I had finished it. I grew up in England and although the Moomins landed on our shores a little too late for me to read them as a child, the little person inside me still enjoys such imaginative childrens’ books – actually the picture brings to mind the Wombles of Wimbledon Common. Love your photos – such magic in those vegetables. Blog on Joanna. Hi Jan. What a lovely comment! Thank you ! The Guernsey book is sitting on top of a small pile, next to be read and I’m looking forward to it. Hi Joanna, I grew up in a Council flat in Balham (Gateway to the South) in SW12. Thank you for the WC link! Balham, at least when I grew up there, was devoid of “labyrinths of leafy glades” and “perfumes of odoriferous herbs”, but the older I get the more nostalgic I become about the streets I walked and the gardens I passed on my way to school. I also remember some beautiful – Edwardian, I think – houses being demolished to make way for more Council houses. I enjoyed noting the seasonal changes and have a memory I go to of lying under a flowering horse chesnut tree which grew on our estate for the pleasure of watching the leaves cover and uncover the blue sky. I also remember ‘Professor’ Michael Bentines Bumbles (or bumblies, can’t recall) who lived on the ceiling. They too would have got along famously with the Moomins and Wombles. Have you come across Cressida Cowells books about a little Viking called Hiccup (his Dad is Stoick the Vast)? Luckily I now have grandchildren who allow me to indulge my little inner person! I now live in Brisbane, Australia. Our winter is just coming to an end. Today is brightly sunny, but strong, cold westerly winds are blowing. We have chickens and a fledgling veggie garden. I’m going to make some bread today (I’m trying to perfect the ‘slap and splat’ method of kneading with a little less of the splat!) and labneh from my yogurt. I’ve been enjoying your blog and photos – you’re part of an inspiring community of women, I love the pleasure you take in your environment, thankyou. Hi Jan, no chickens here though! I have a vision of every home in Australia having chickens wandering round their backyard :) I grew up not that far away on the London/ Surrey side down by the Thames in the West. The past is another country isn’t it? The horse chestnuts have some disease now and they are struggling, But they are still one of the grandest trees in the landscape. I hope they don’t go the way of the elms of England. On the conservation front I heard this morning that wild beavers that were re-introduced to Scotland recently have raised kits. It’s good to be able to take heart from these small and joyous things when the world is so troubled. I think I have heard of Hiccup, like childrens’ games, their literature is often much more fun than ours! I don’t do slap and splat much, but I know other people do it – Happy Baking and Chicken wrangling! Nice story and interesting bread. And the moomins – I read every book, still have some of them, and saw the TV-series and the movie (moomins are very popular in Germany). Sounds like you are a big Moomin fan Karin. Thanks for reading. 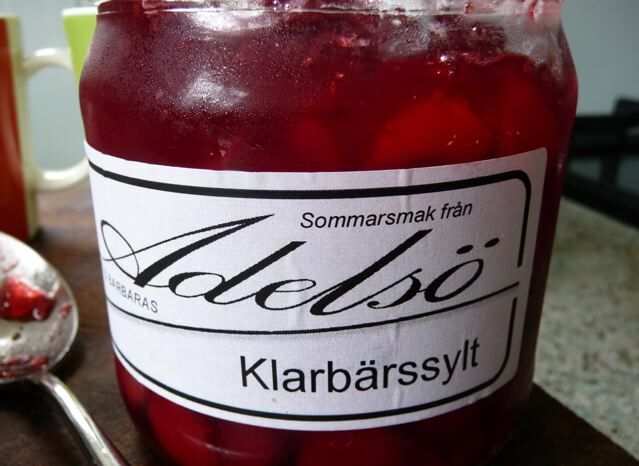 I should see if I have any viable piima in the freezer and make this again or maybe I could do with the kefir I am making at the moment.